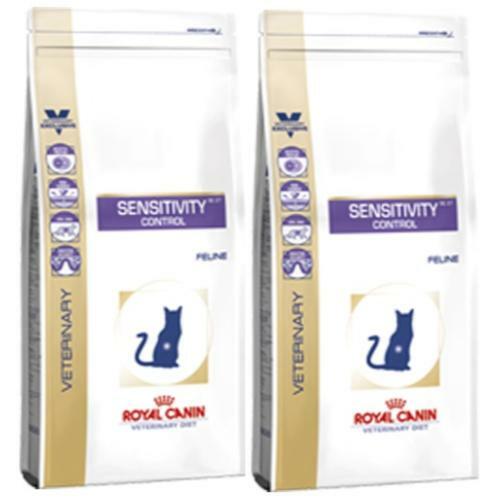 Sensitivity Control is a complete dietetic feed for cats formulated to reduce ingredient and nutrient intolerances. It is recommended that a veterinarian’s opinion be sought before use. Feed Sensitivity Control for 3 to 8 weeks. If signs of intolerance disappear, this diet can be used indefinitely. • Selected Protein has a limited number of protein sources which helps reduce the risk of food allergies. • Skin barrier has a patented complex to support the barrier effect of the skin. • EPA/DHA has fatty acids which help maintain a healthy digestive system and a healthy skin. • Digestive Security contains nutrients which support a balanced digestive system. Rice, dehydrated duck meat, vegetable fibres, hydrolysed poultry proteins, animal fats, rice gluten, minerals, fish oil, soya oil, marigold extract (source of lutein). ADDITIVES (per kg): Nutritional additives: Vitamin A: 24900 IU, Vitamin D3:800 IU, E1 (Iron): 40 mg, E2 (Iodine): 2.8 mg, E4 (Copper): 9 mg, E5 (Manganese):54 mg, E6 (Zinc): 202 mg, E8 (Selenium): 0.1 mg - Preservatives - Antioxidants. ANALYTICAL CONSTITUENTS: Protein: 27% - Fat content: 11% - Crude ash: 9% - Crude fibres: 6% - Per kg: EPA/DHA: 3.5 g - Essential fatty acids: 34.4 g.